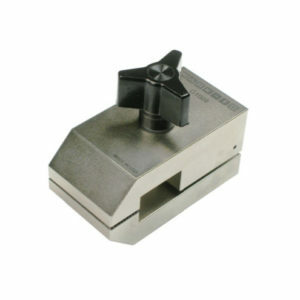 The G1053 universal v-jaw grip effectively secures round objects during torque testing. 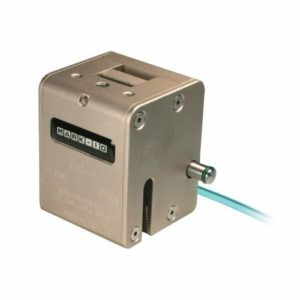 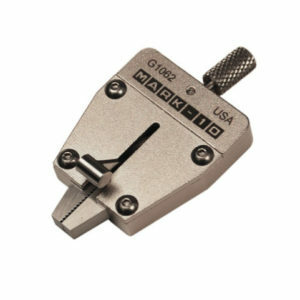 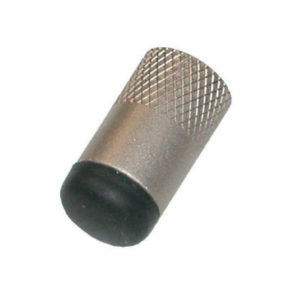 It’s designed with a hex tail to fit into the chucks of Mark-10 torque sensors. 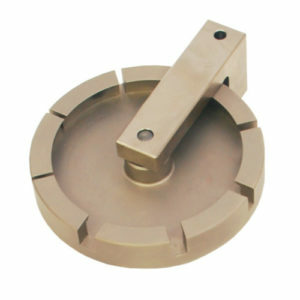 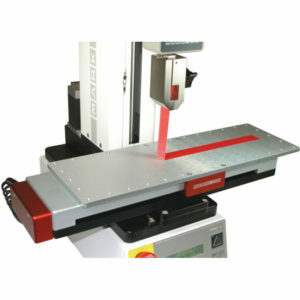 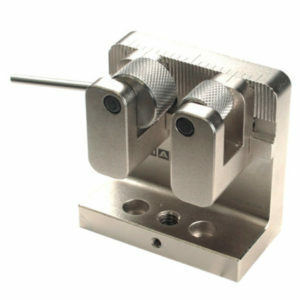 An optional adapter is available to mount the G1053 grip to the base of a test stand to enable force testing. 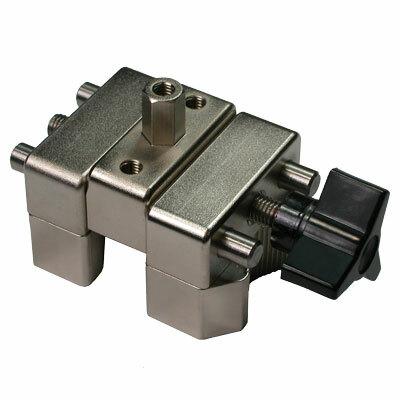 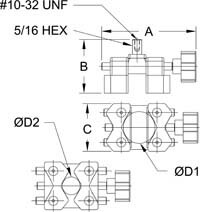 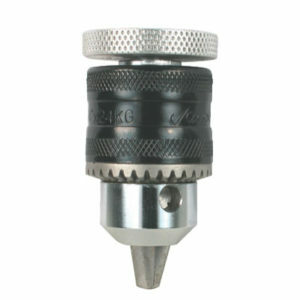 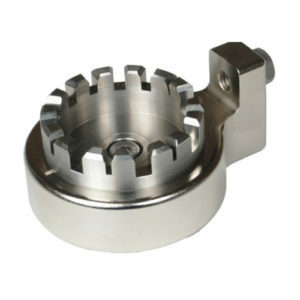 The Reversible serrated jaws accommodate samples with diameters of 0.65 – 1.55 in [16.5 – 39.4 mm] while a knob quickly engages and disengages samples. 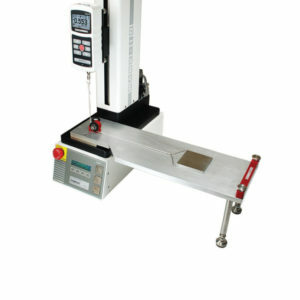 This grip can be used either manually with an R53 torque sensor or TT03 torque gauge, or in test stand controlled applications, using our Series TST torque test stands. 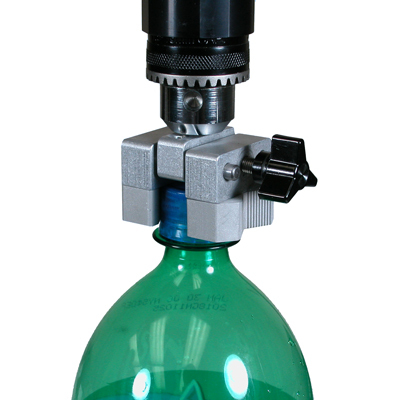 If used with a test stand, this grip complements our G1023 bottle grip.